A divine personalised and engraved Gold glitter hip flask ideal for your Mothers Day gift - a great Mothers day party accessory. 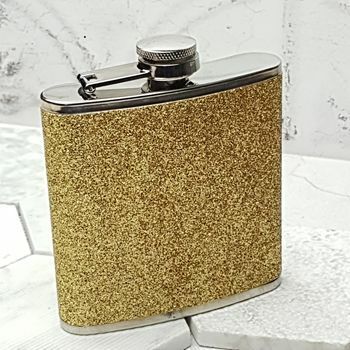 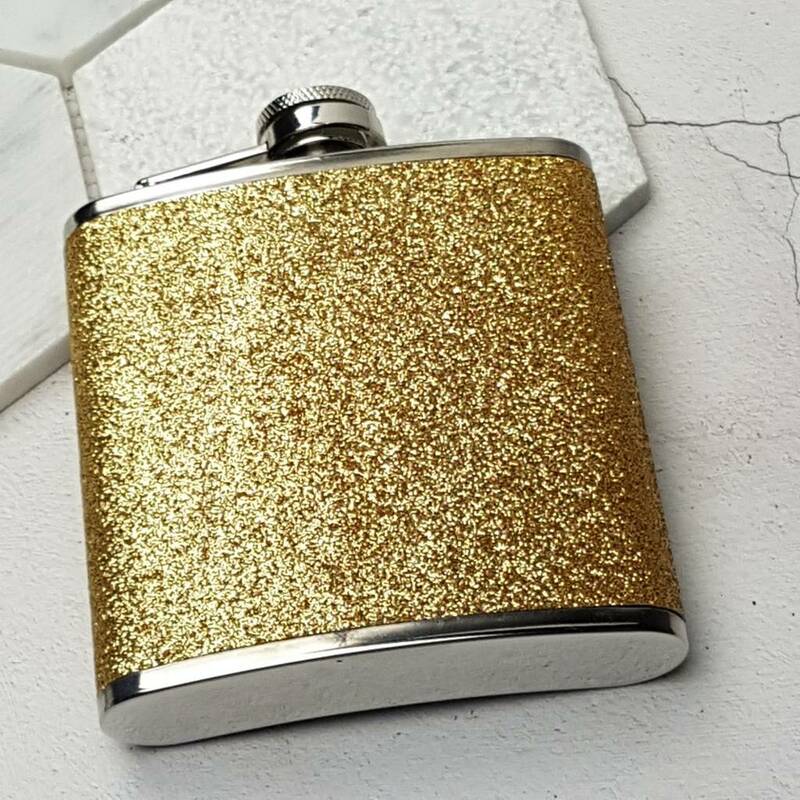 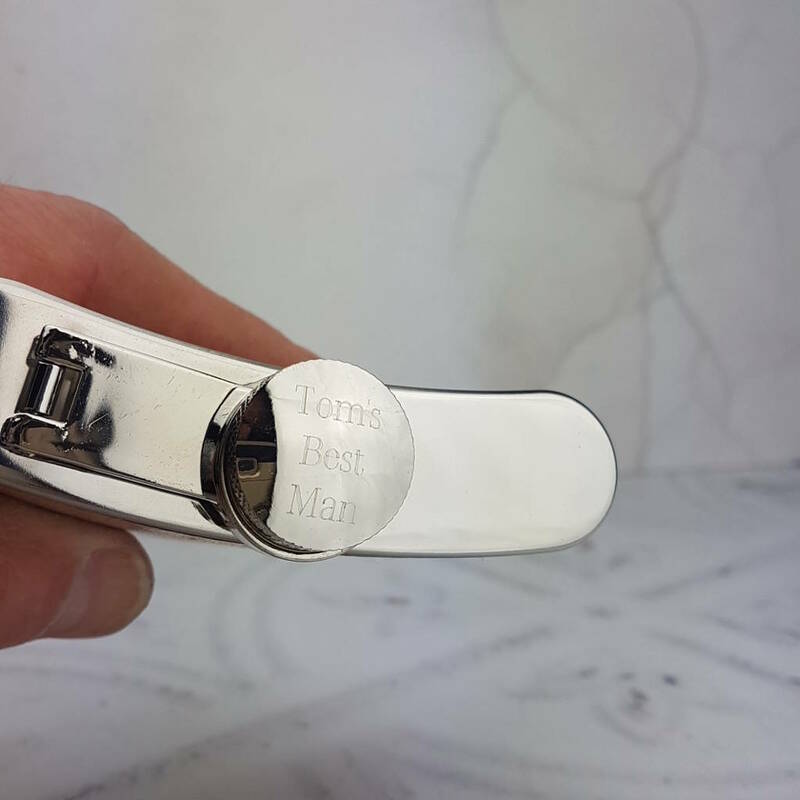 We can engrave the gold glitter hip flask on the top for you with a date, Initials or a message like 'We Love you Mammy, Mom or Ma' - whichever is you choice. 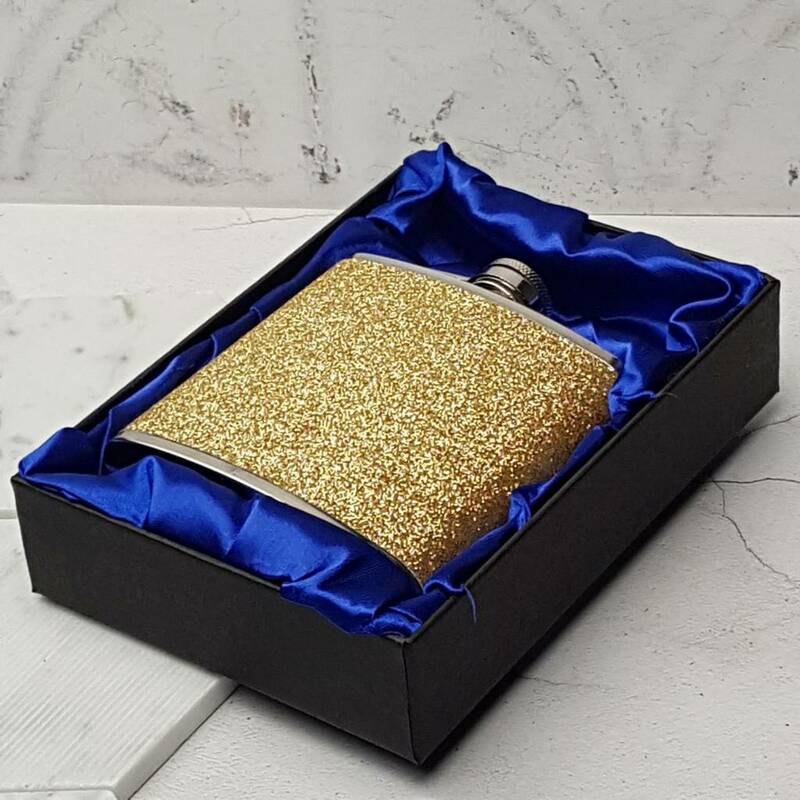 The secure capture top ensures this flask can be used out and about without fear of dropping the lid. 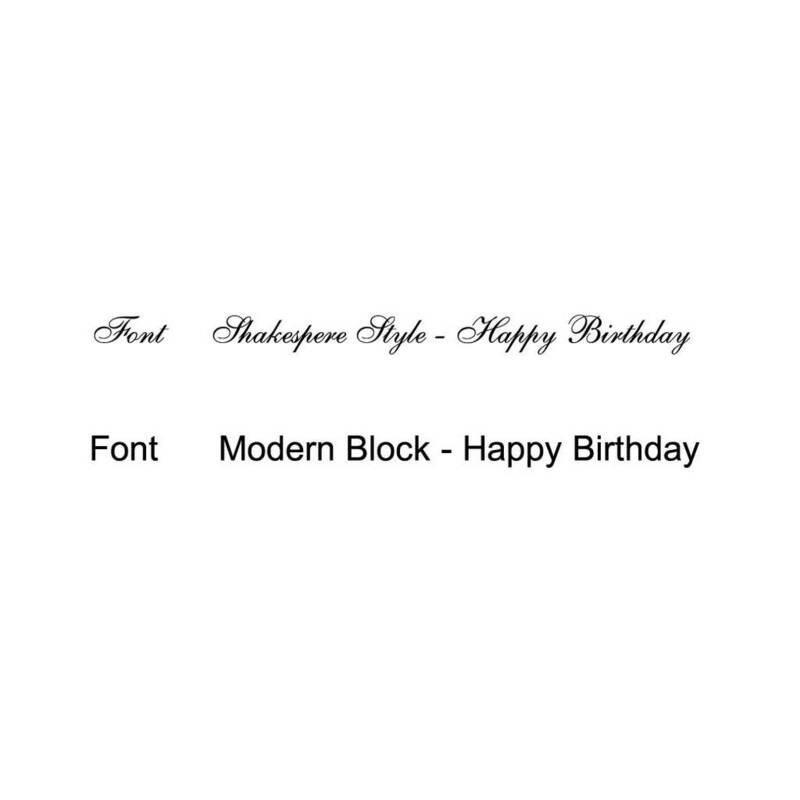 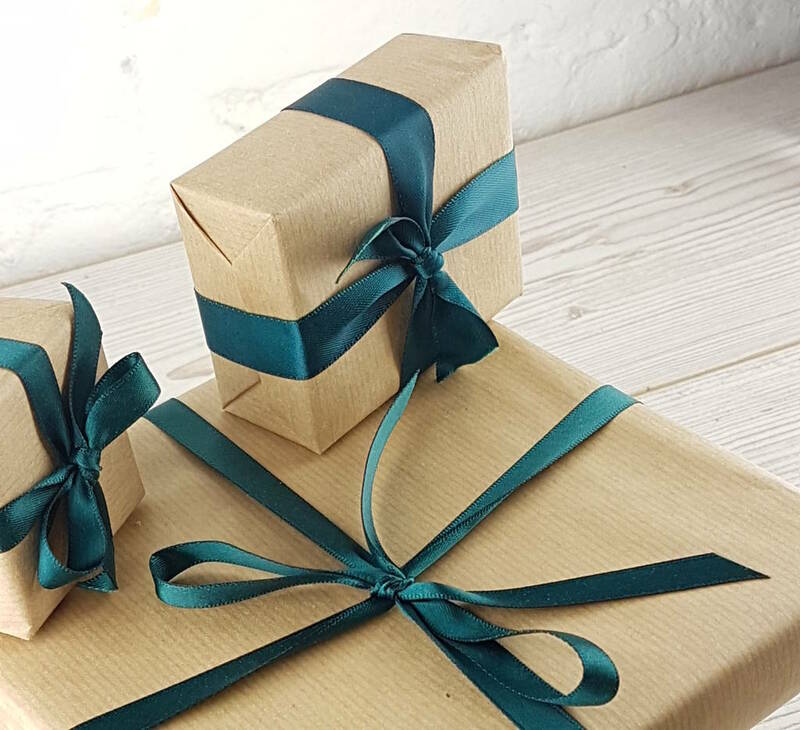 If you are looking for the perfect gift to celebrate together then look no further. 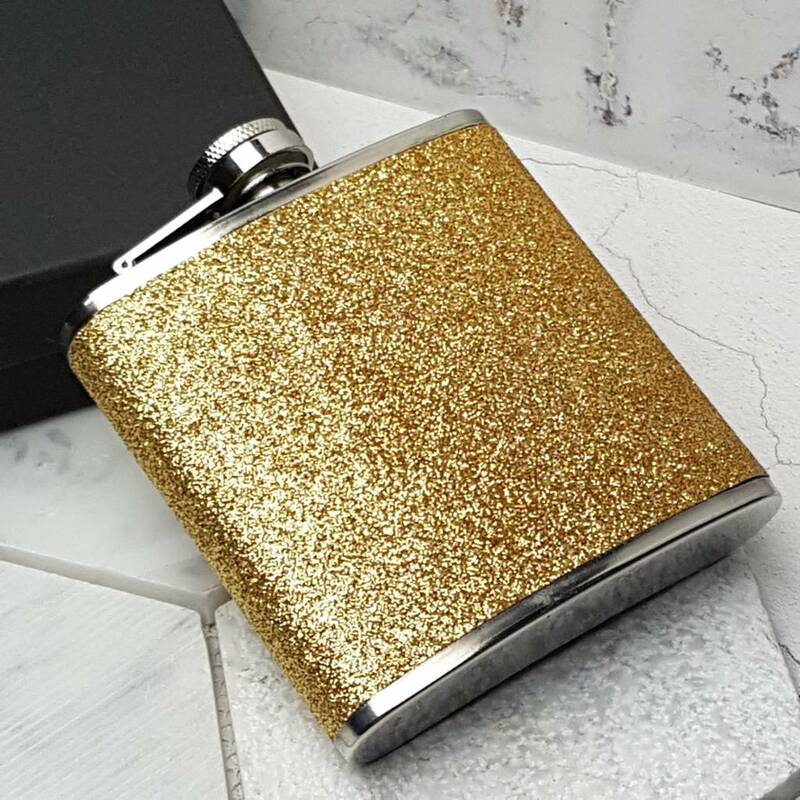 The personalised hip flask is crafted from light metal with a nice gold sparkly veneer wrapped around it.